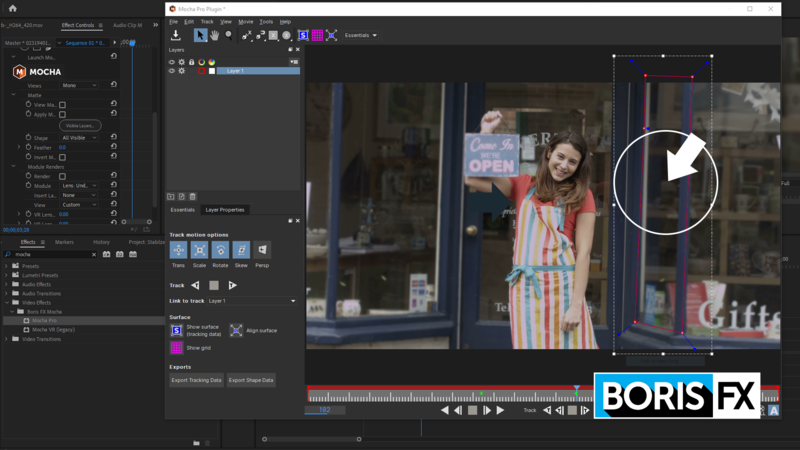 Learn how to improve shots by removing unwanted shadows, reflections, and objects inside Adobe Premiere Pro using the new 2019 versions of Mocha Pro and Continuum plug-ins from Boris FX. Join Mocha Gurus Mary Poplin and Ross Shain for this exclusive live training event covering planar tracking and removal tips for video editors. Relevant for all levels of editors and effects artists, no matter of what host you use! Prizes: Win the Boris FX Suite, Mocha Pro, Continuum & more!